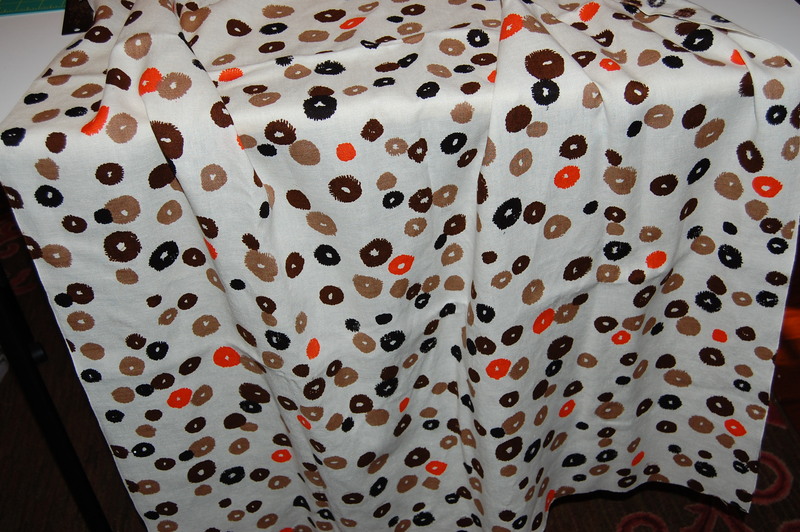 It is one of those patterns which is always in my mind when I am looking at or for fabric. Twice I have opened it up to survey its pieces and construction, and twice I have decided against it. 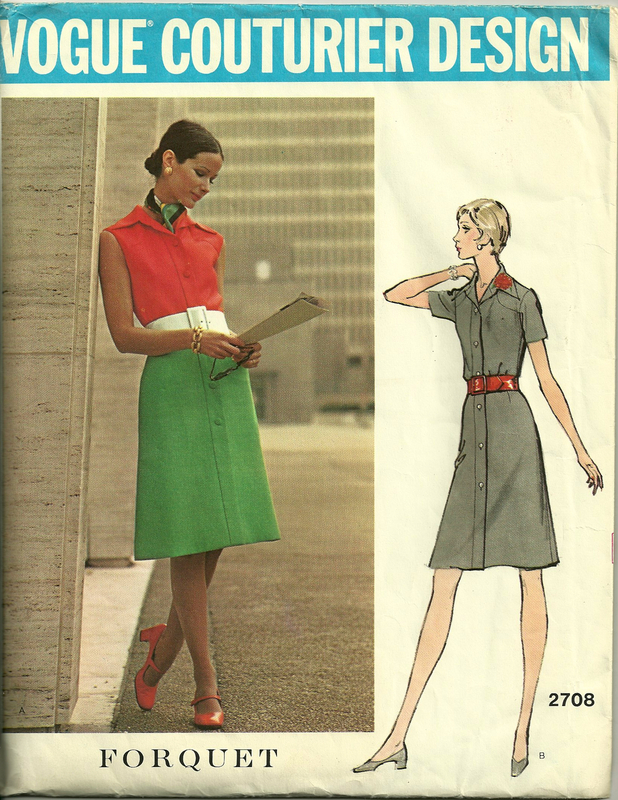 To be fair, both times of rejection have been because of “not enough fabric”, but other factors have weighed in as well: 1) the collar is too “’70s-looking” and would have to be recut; 2) the skirt is A-line, a look I am just not excited about right now; and 3) the top part of the dress is “bloused” instead of darted, which adds more bulk to the waist than I can handle at this stage of my life. However, with that said, I still love the look. I love the strong contrasts of color, divided and punctuated with the wide white belt. I love the styling with the shoes matching the red bodice, the tidy neck scarf, the big ball earrings, and the classy bracelet. It is a memorable look. 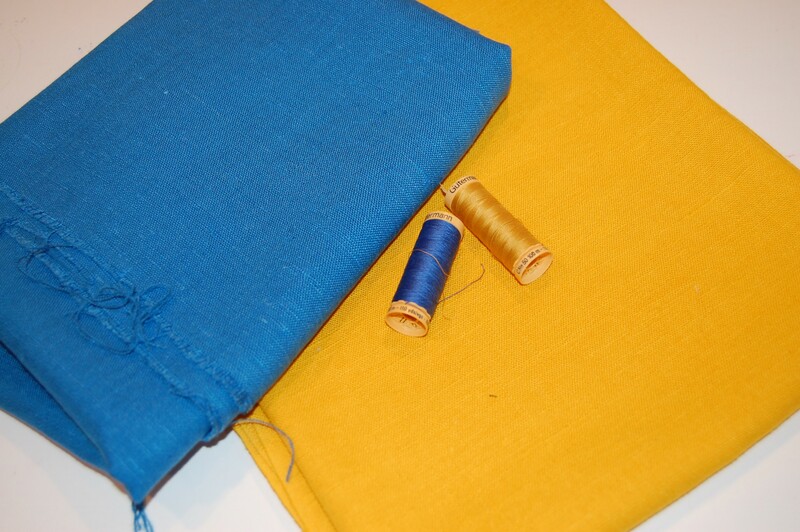 And – it served as inspiration for me as I recently paired two vintage pieces of contrasting Moygashel linen. And the back is equally as pretty! Now I had a plan. 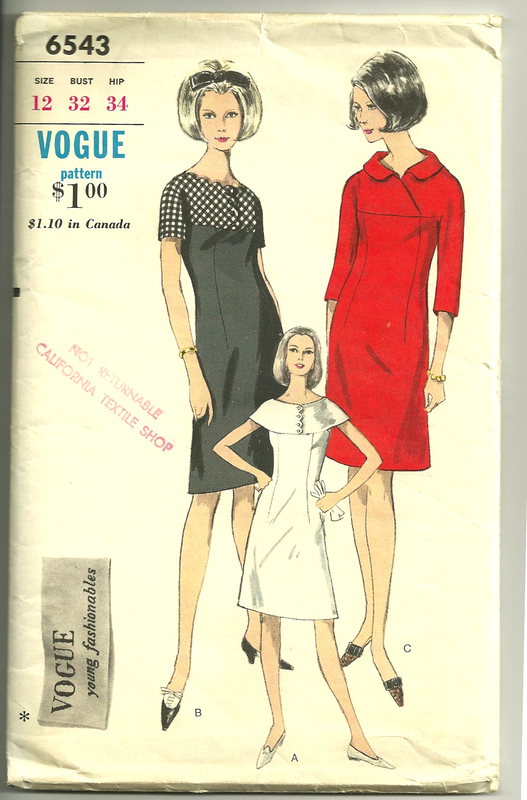 I would use the narrow skirt from the current Vogue pattern and the bodice from the vintage Vogue pattern, except that I would make it sleeveless. 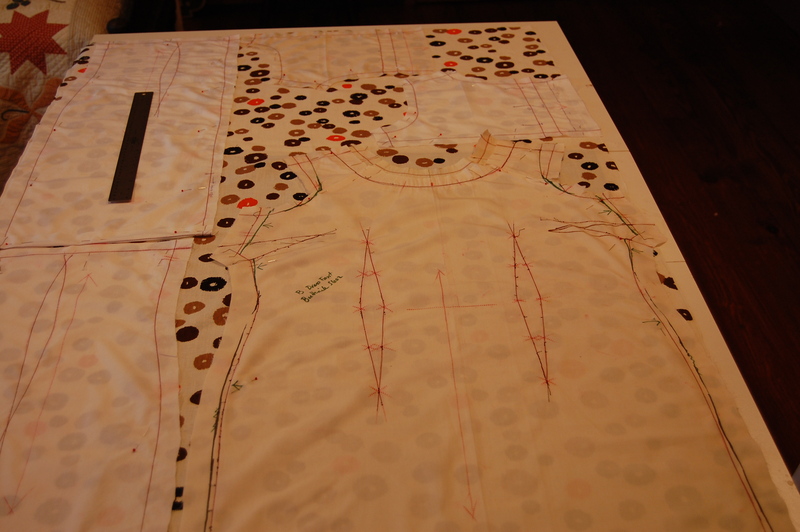 I had to work to line up the darts on the bodice and the skirt, moving them hither and yon several times. And then I had to deal with the positioning of the bust darts, always an issue for me with vintage patterns. The apices of the darts are always too high for me. (I’m sure it has much to do with the foundation garments which women wore in the ‘50s, ‘60s, and early ‘70s.) Simply moving the apices lower does not always work, as then I seem to have too much fullness above the bust and across the shoulders. Of course, this is where making a muslin (toile) comes to the rescue. 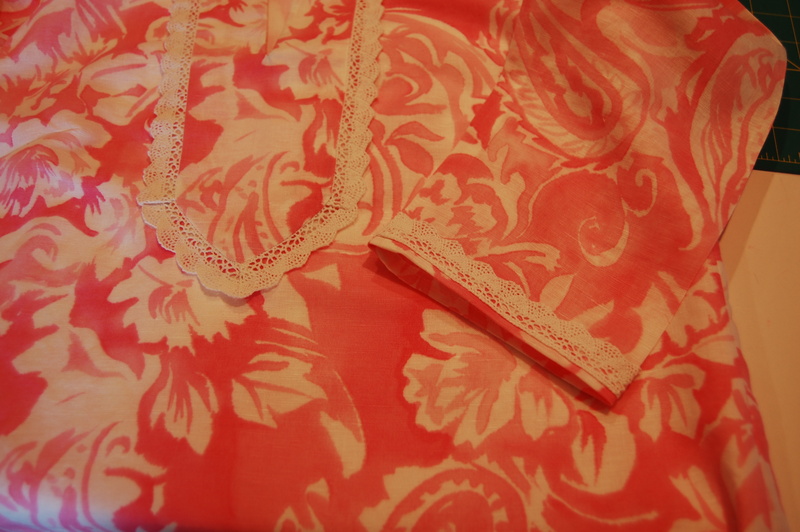 In this case, my first muslin had so many changes to it, that I had to transfer all my final markings to a new muslin. I also decided to underline the linen with silk organza and use true couture techniques to complete this dress. 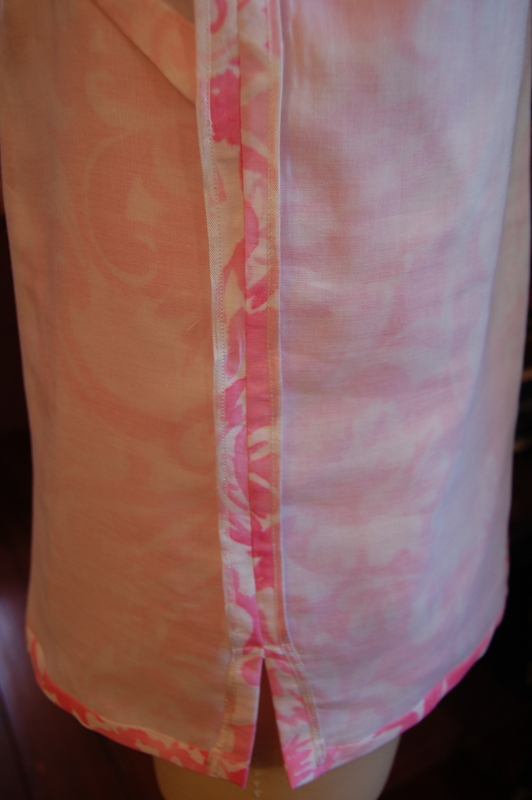 Here is one side of the front from my first muslin. I still had to make changes on the second muslin, but better on muslin than on the fashion fabric! 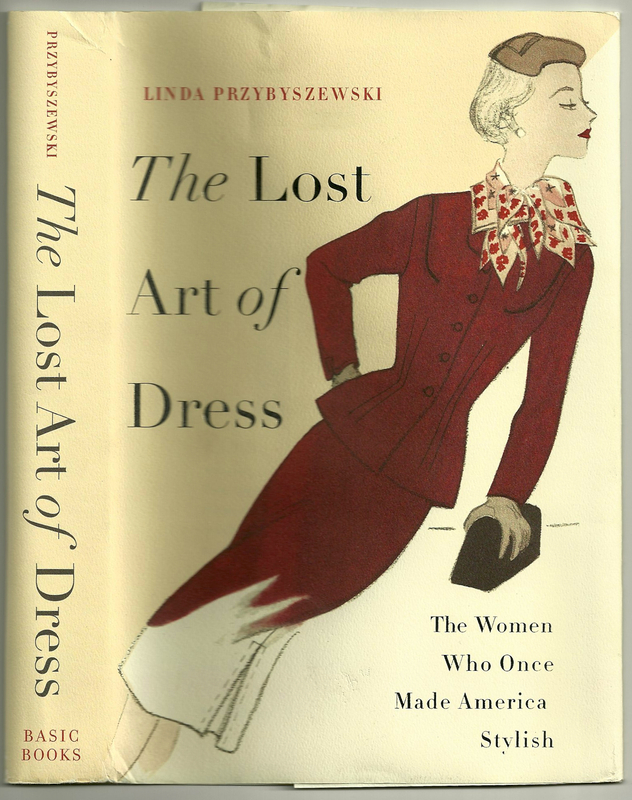 Many reviews of Linda Przbyszewski’s book The Lost Art of Dress: The Women Who Once Made America Stylish have been written. 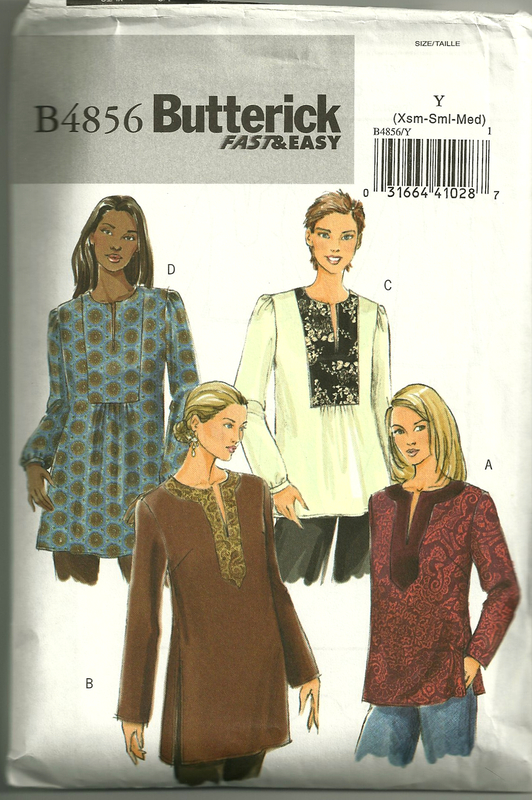 Two of the most recent ones are by Stephani Miller of Threads Magazine, and by Joy Landeira in the quarterly newsletter (Summer 2014) of the American Sewing Guild, Notions (available to members only). Both of these, plus many others give an excellent overview of the subject of the book. 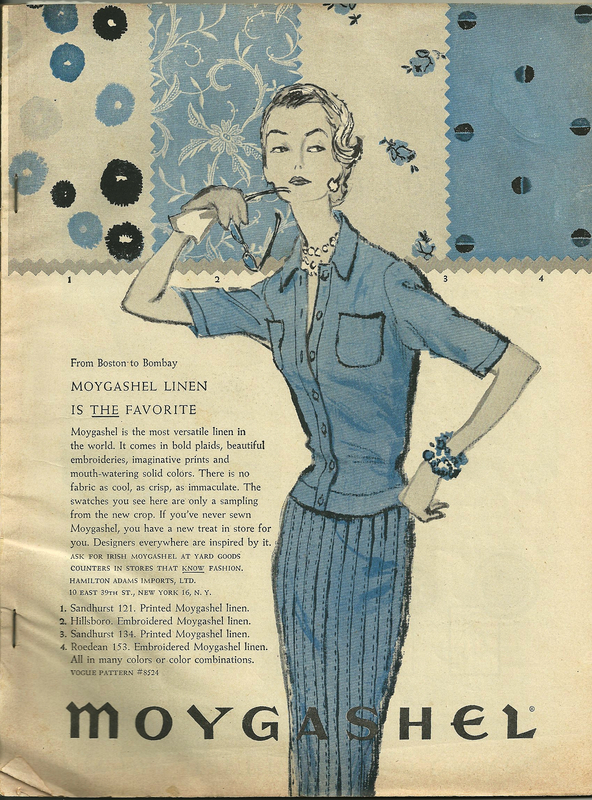 For those of you abroad and others who may not have been exposed to this book, here in a nutshell is the narrative: From 1900 – 1960, American women’s interest in fashion was shaped to a great degree by many professionals in the fields of Home Economics, Retailing, and Art. 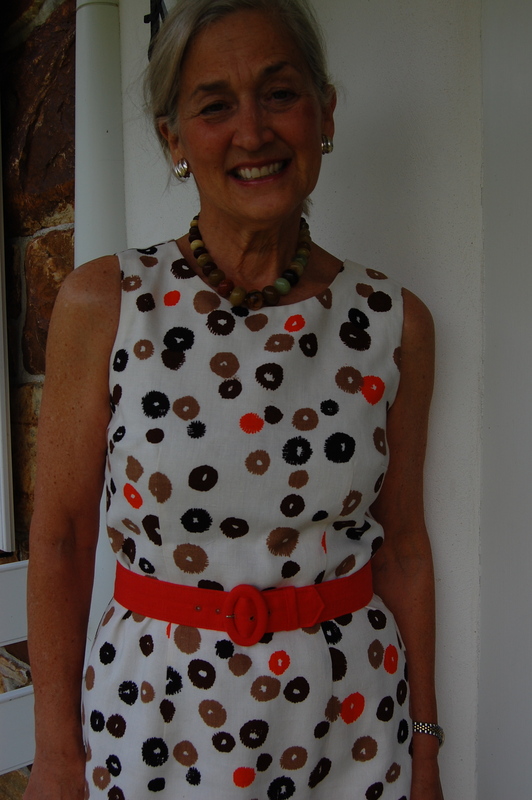 Following certain concepts espoused by these “Dress Doctors”, as the author calls them, average American women embraced style, grace, appropriateness, and practicality in their dress, making them paragons of American fashion. I found the book completely fascinating to read, learning much about the cultural and social history of this country during those six decades. 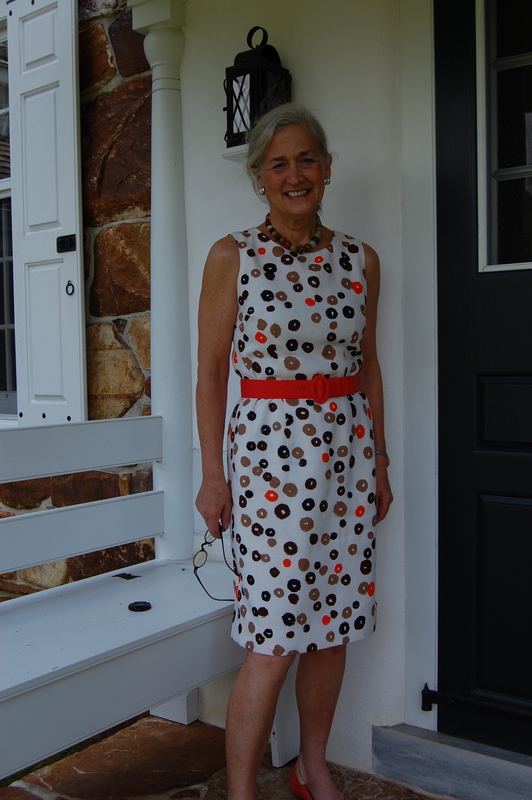 Although the book is scholarly in its research, documentation, and overview, Linda is an engaging writer, infusing humor frequently, adding pointed commentary throughout, and, finally, extrapolating meaning from the “lessons” taught by the Dress Doctors for present seekers of style. 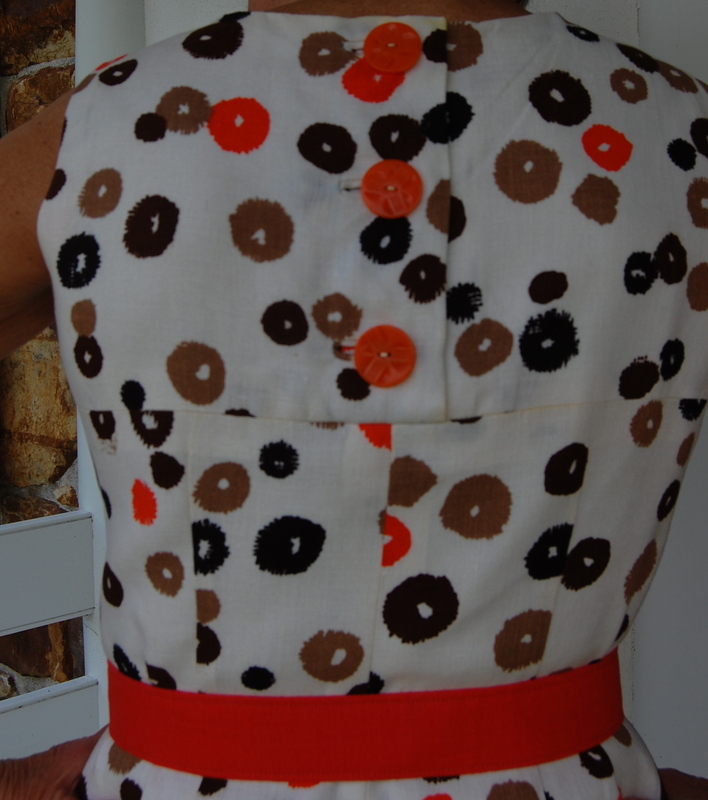 As a dressmaker and frequent user of vintage patterns, I read the book looking for specific references, which would apply to my sewing and fashion sense, and to help me answer the question “Just exactly why do I find the fashions from the ‘50s, ‘60s, and ‘70s so captivating?” To say that I found much to savor is, indeed, an understatement. However, certain “Aha” moments stood out for me, so that is what I will try to cover in my remarks here. 1) To be successful and enduring, fashion should emphasize one’s face. 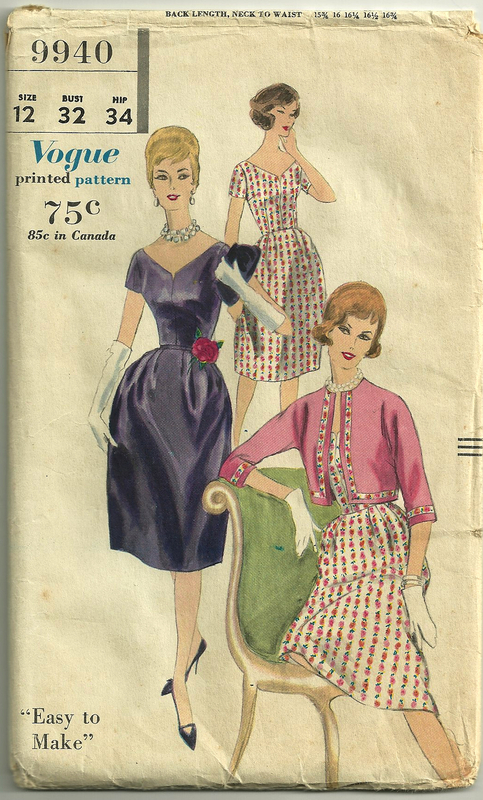 When I look at vintage patterns, so many of them have details at the neckline, or unusual and flattering collars, or necklines cut gracefully to frame the face. This seems like common sense, doesn’t it? Fashion should bring attention to one’s face – and therefore, one’s person – so that YOU are remembered rather than your attire (although the proper fashions can help you be remembered at your best). Jewelry is one way to help emphasize a face, but, of course, it should not overpower your countenance. 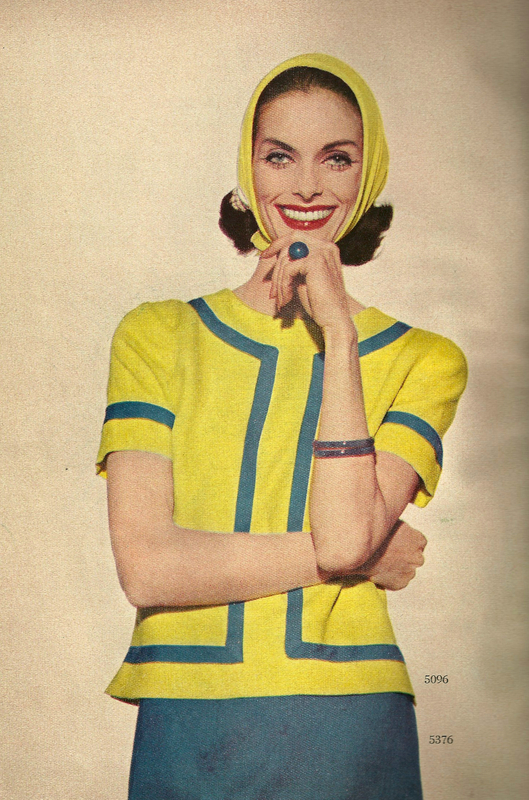 Prior to 1965, wearing hats was commonplace, adding another point of emphasis to the face. Now we are not so lucky, save for some very special occasions. 2) Black is fine to wear for evening, but think again for day-time wear. While I am not naïve enough to think that black is going to leave the wardrobes of American women (after all, what is more classic than the Little Black Dress for after-five? 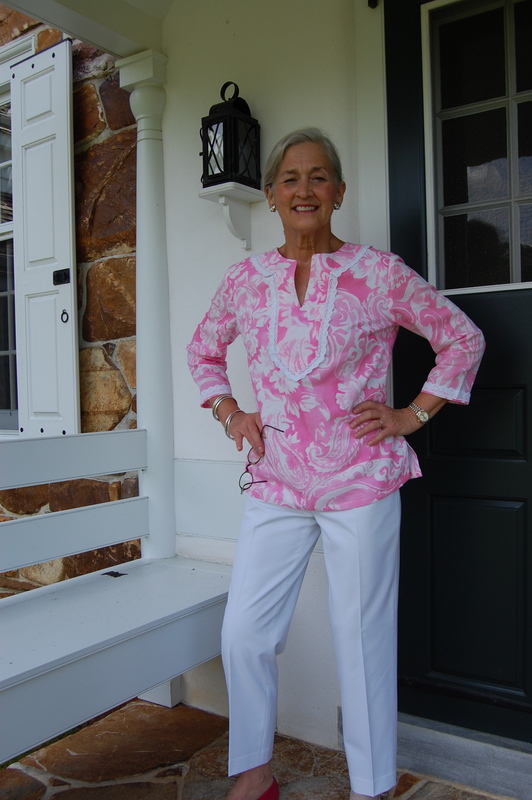 ), most of us would do well to consider adding more color to our fashion sewing and wearing. Color is a powerful enhancer to complexions (of all hues) and moods. 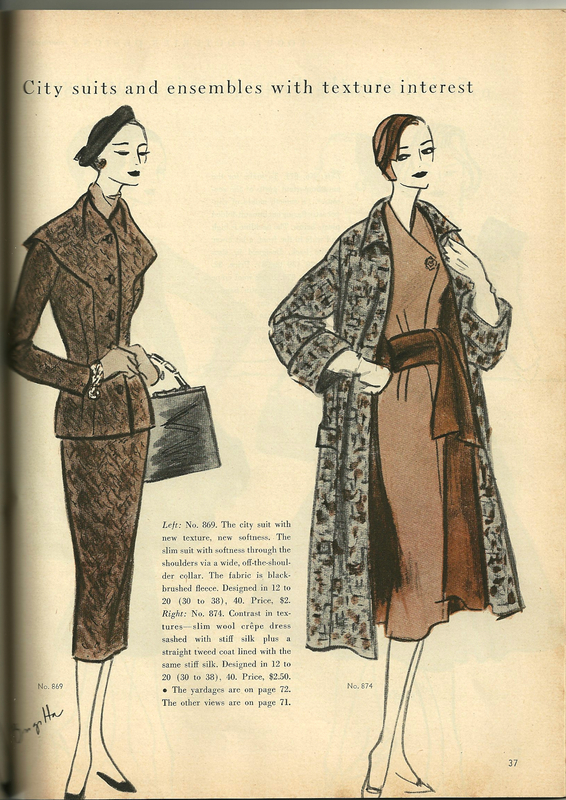 3) Older women were once considered at the apex of elegance and style. Women and girls younger than 30 were expected to dress in a more youthful manner that mimicked their elders, rather than the other way around! (Isn’t it interesting that 30 was considered the age at which women were expected to assume a more polished appearance?) Vogue Pattern Book Magazine contained the occasional feature on young girls and college girls, and Vogue even had a pattern series called Young Fashionables. 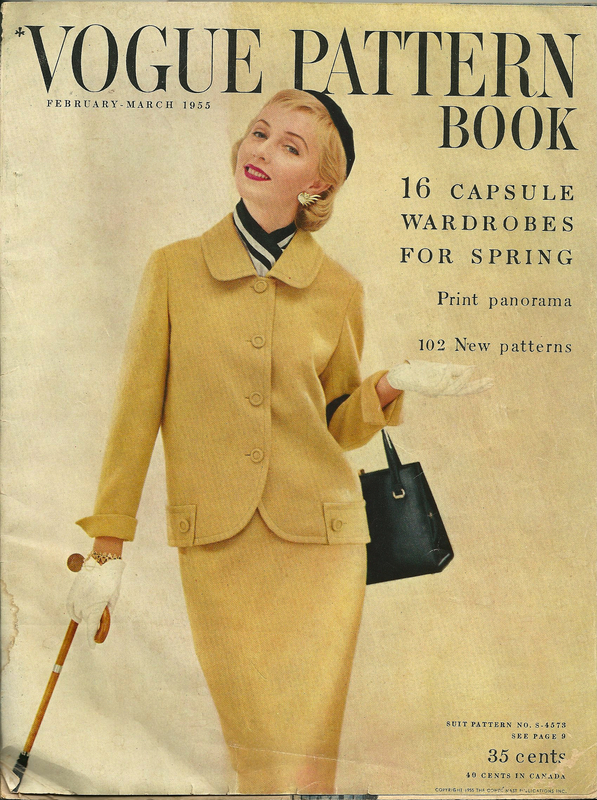 But the majority of their patterns were for the 30 – and – older crowd, showcasing models and fashions which were demure but elegant, feminine but refined. 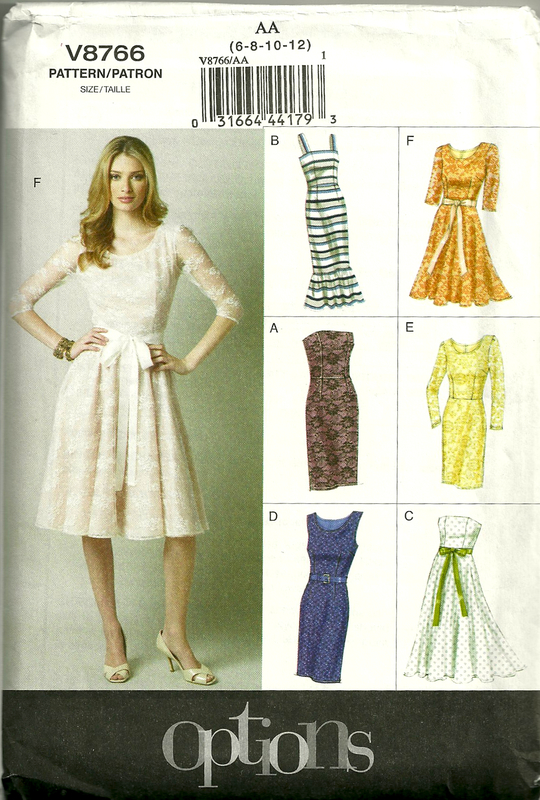 Here is one “Young Fashionable” pattern, to illustrate the type of style designed for the younger-than-30 age group. 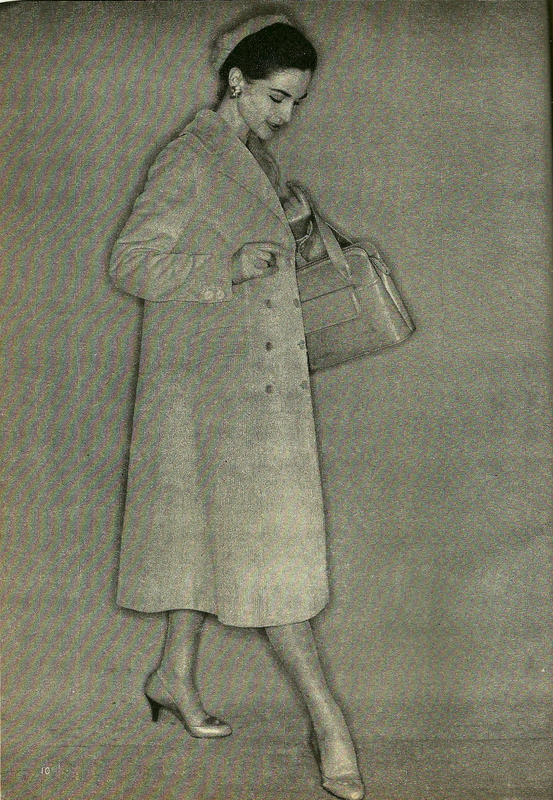 This page from the October/November 1955 Vogue Pattern Book Magazine shows many of the ingredients of a polished look, the norm among American women at that time. 4) The Dress Doctors were not only concerned with fashion, but also with how fashion could influence the rest of one’s life. First and foremost, one should buy, or sew one’s own attire, which is appropriate for the life one leads. Buying on impulse is rarely a good idea if the item you are buying has no use in your weekly or monthly calendar. 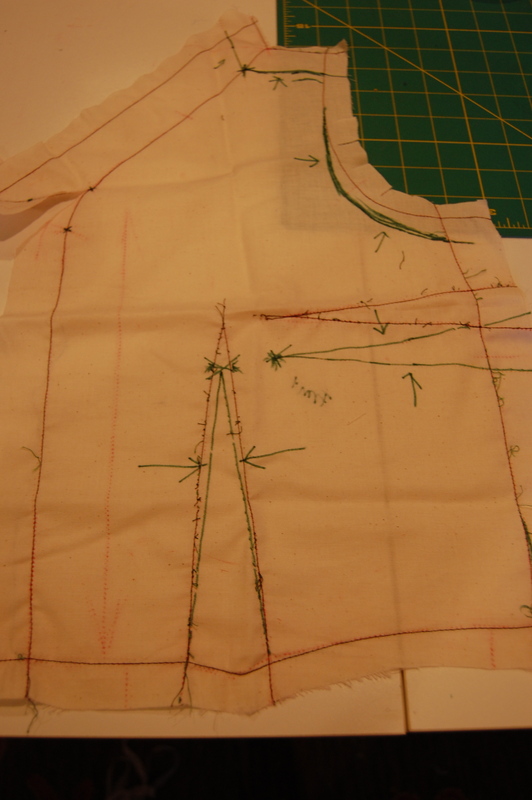 Further, if you find a style or look which works for you, repeat it – easily accomplished by those of us who sew. 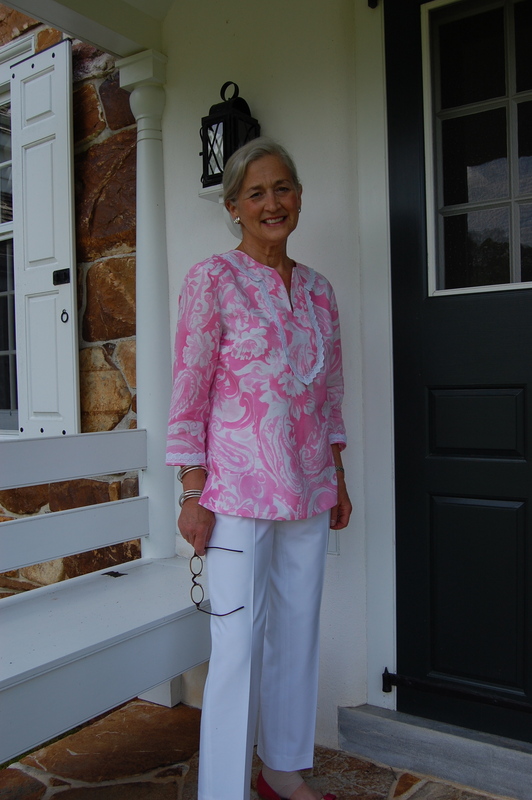 And those of us who sew know that tweaking a pattern, adding or subtracting a detail, and choosing diverse fabrics can make any pattern look new. Hooray for us! 5) A final point – and it is about many women’s favorite fashion accessory — shoes. According to Linda Przbyszewski, shoes have taken on much more significance than they once did – and should. Shoes should never be the focal point of one’s outfit. They should be chosen to enhance the overall look and to be functional for the occasion for which you are dressing. Shoes used to be just one of the accessories adding to the complete outfit, along with gloves, hats, scarves, handbags, jewelry, and coats. As gloves and hats and coat “wardrobes” have receded from the recipe for a “fashionable look”, shoes have filled that gap for many of us. 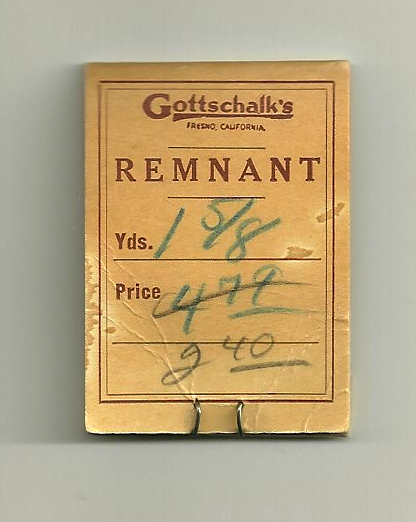 The last chapter of the book is devoted to the “demise” of the Dress Doctors in the 1960s and ‘70s. The emphasis on “youth”, starting in the ‘60s, and the women’s liberation movement in the 1970s changed mainstream fashion dramatically. Not addressed in the book is the continuance of some of the standards, established by the Dress Doctors, by the pattern companies in these two decades. 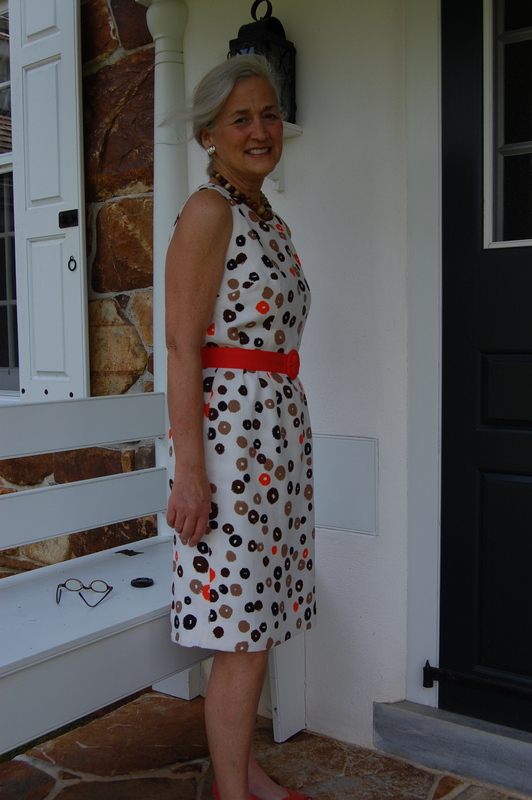 Although my experience is mostly with Vogue patterns, I continue to be inspired by many of the fashions, Designer and otherwise, featured in patterns during these two decades. 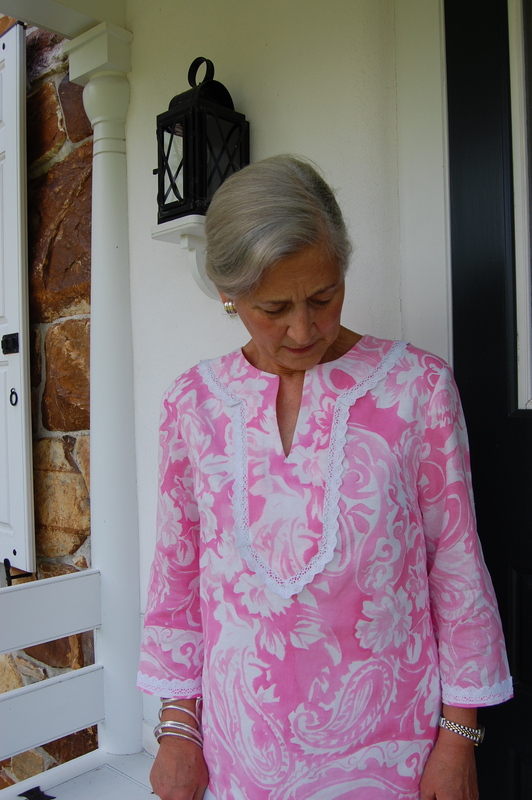 Once again home dressmakers were at an advantage – and continue to be. 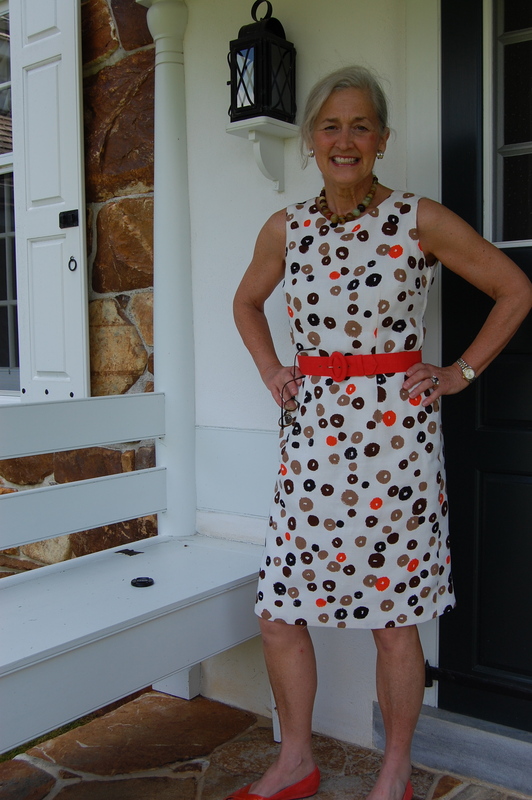 The author leaves the reader on a positive note, stressing lessons for all of us to be learned from the wisdom of the Dress Doctors, and crediting the home sewing movement NOW for the beginning of a return to standards and style in the art of dress. I look at this as a responsibility. How about you?